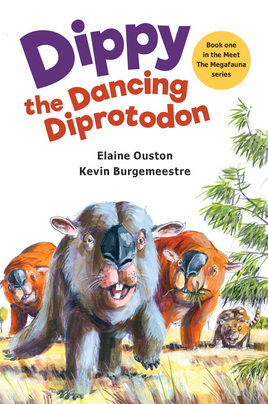 Dippy the Dancing Diprotodon by Elaine Ouston is the first book in the Meet the Megafauna Series, a series that features two Megafauna animals interacting as they would have in the wild. In this book we meet the diprotodon and the marsupial lion. Dippy the Dancing Diprotodon is a fun loving picture book that takes the reader back more than 50,000 years to a prey/predator situation. Aimed at early readers Dippy the Dancing Diprotodon provides a non-threatening thrill that educates. Dippy loved to dance. The other diprotodon laughed at him. They thought a dancing diprotodon looked strange. With the current rain the eucalyptus trees on the other side of the forest had bright new leaves. Dippy danced off through the forest heading for his breakfast. As Dippy dances, a lion follows. Although Dippy is four times the size of the lion he is no match for his deadly teeth and claws. The chase is on. Dippy tries hiding but his size makes this hard to do. The lion leaps ahead into a tree in the direction Dippy is heading. Who will win the battle? I shared this book with my 9-year-old who loved the thrill and suspense of the chase. Dippy the Dancing Diprotodon opened up endless conversation about the creatures that roamed the earth 50,000 years ago, their size and habitat and the predator/prey situation. This lead to discussion on how we live today and the role the predator/prey situation plays in today's society. How have times changed from then till now? What could have happened to cause these changes? As a parent and home educator I loved Dippy the Dancing Diprotodon. Elaine Ouston presents us with a story that invites, provokes thought and educates. Her passion for teaching children about the megafauna of Australia shines through in her writing. Having illustrated over 65 children’s books since 1985, Kevin Burgemeestre has used his years of experience to capture the words Elaine provides in an illustrated format. The overall package produced by the team provides the reader with a pleasurable journey that they are sure to revisit. 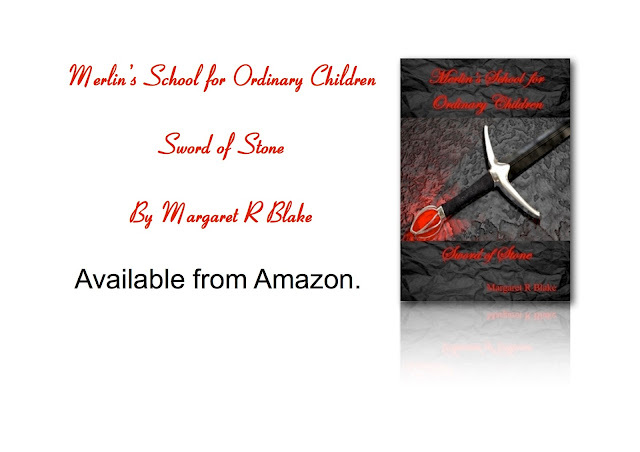 Sword of the Stone is the second book in the Merlin’s School for Ordinary Children series by Margaret R Blake, following The Ring of Curse’s. It see’s the children start their second year of school, with some of the old student’s returning and some new about to find out what adventures behold them. Pursued by an assortment of Ogres, Goblins, and Trolls, the children must make tracks to Grave’s End: the last known resting place of this mysterious and much coveted weapon. Margaret R Blake does a wonderful job at interweaving book one with book two, Sword of the Stone. It has been some time between books for myself, having read The Ring of Curse's two years earlier, yet the skillful writing style of Margaret R Blake had me reliving the first read. I felt as though it was only yesterday that I had finished The Ring of Curse’s. There is enough information provided in Sword of Stone for one to have not read The Ring of Curse’s and still enjoy the journey. Within Sword of Stone Margaret R Blake shows the growth of the characters as they mature and move into a new year, whilst maintaining their personality and likeness to the previous story. As an author she shows strength and consistency in writing style from one to book to another. New characters and a new adventure are introduced in Sword of Stone in a way that they enhance the previous reading journey and make you want to actually re-explore The Ring of Curse’s, or discover it for the first time. Merlin’s School for Ordinary Children Sword of Stone, along with The Ring of Curses and other books by Margaret R Blake are available in both paperback and ebook from Amazon. What would you do if you found you had been turned into a vampire? Nigel D Tranter is a 15 year old lad who has no ambition, no prospects and no idea. But he does have friends – or two at least. Then to his surprise he gets an invite to a party. However, this is not just any old party; it is the party of the year. Sadly though … afterwards, he doesn’t remember a thing about it. Join Nigel as the events of the party start to slowly make themselves known. You will laugh; you will cry (hopefully from laughing really, really hard) and maybe, you’ll get the surprise of your life. Nigel D Tranter is a sweet kid that is easy to relate to. With a boy in the schoolyard image young teens will delight in the antics of Nigel and his mates and their desire to be accepted not only by family but by peers. 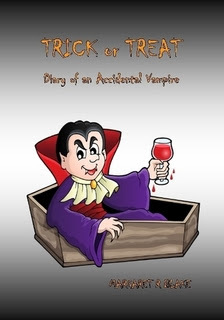 Within Trick or Treat Margaret R Blake has created a fiction full of light hearted adventure, fun and humor providing a novel that is an enjoyable read. My only criticism of Trick or Treat would be that of the font used. The font is small and tight being hard on the eyes which at times confused the brain slowing down the read. This may not be a concern for the young reader but for the ‘older’ adult reader like myself it soon became tiring. What to say about this book? Turning Points in Compassion moved me and inspired me. It really is one of those books that is hard to explain as it takes you on a roller coaster of emotions. Turning Points in Compassion is a collection of personal stories written by people who come from different lifestyles, levels of education, races and beliefs. It is a well balanced book that is the voice of these people as they talk of their journey of awareness toward compassion for animals and their journey to veganism. For those who are not vegan and may feel hesitant as they feel they are going to get a whole lot of stories that are going to push veganism, this is not the case. Turning Points in Compassion is a journey of love and honesty. It shows the connection between man and animal. It touches the heart. If we all stopped and took a moment to really think about animals, our relationships with them and the way we treat them then we would surely find the compassion we need to make positive changes. Turning Points in Compassion may be just what we need. Turning Points in Compassion shares life journeys that open your mind to a lot of things that you would not normally think about. As children we are brought up to believe that eating meat is right, to believe that everything is ok. Turning Points in Compassion lets you look at the other side of the industry in an engaging, welcoming and light manner. It presents real stories by real people. Stories that speak of life experiences with honesty and openness. After reading this book you will never look an animal in the eye and feel the same way as you did before you read it. 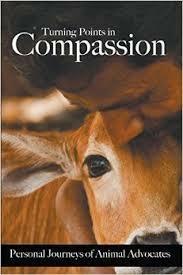 Profits of the sale of Turning Points in Compassion go toward animal sanctuaries and rescue groups. Turning Points in Compassion is a book that gives love to the lives of many, regardless of species. The Drago Tree by Isobel Blackthorn grabs you, throws you around and leaves you wanting more. The connections with the characters in The Drago Tree are real. From the first word Isobel Blackthorn has scribed till the last you are captivated. You loose yourself within the world on the pages. Your connection with the characters become that of a friendship, your journey an adventure that keeps you guessing from page to page. When you reach the end you close the book feeling a little lost as you realise it is over. Isobel Blackthorn is a writer who has the skill of creating a scene that places you there. This is often something writers struggle with but not Isobel Blackthorn. As a reader I was not only there, I did not want to leave. I was engaged fully, feeling I could touch, see and smell the place and time. Isobel Blackthorn had me standing next to the characters, as one of them. She had me stepping forward with each page, never missing a beat in flow or plot. 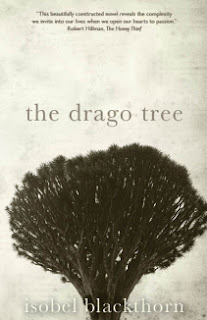 The Drago Tree is a book that will inspire all writers to continue to create in the hope of achieving the level of that of Isobel Blackthorn. Ann Salter seeks sanctuary on the exotic island of Lanzarote, an island I spent a few days enjoy, discovering myself as Ann does herself. Although I feel I have traveled this island I am left wanting to go back to where I was. I have so much I want to say to Ann, questions, friendship, and more questions lurk within me. The betrayal, conquest and love within the pages of The Drago Tree are real, leaving me seeking more. Should I have been satisfied? Maybe, but I am sure Isobel Blackthorn would be pleased I am still seeking. The Drago Tree is a well-presented book. My copy was read in e-book format. I am a paperback reader, enjoying the overall experience that holding a book creates, so the strength I found within this e-book is a credit to Isobel Blackthorn. For myself the glare of a screen, the hard and flat feel of the Kindle, often creates an environment that leads to a struggle to read the content. The ability to be able to immerse myself in The Drago Tree and not want to put it down shows the strength of the writing of Isobel Blackthorn and the creation of a piece of literary fiction that engages. There is no doubt that I will soon be reading Isobel Blackthorn’s other novel Asylum, also published by Odyssey books. The Drago Tree by Isobel Blackthorn is available from Amazon in e-book and paperback format. A mythical book full of mystery and fantasy. 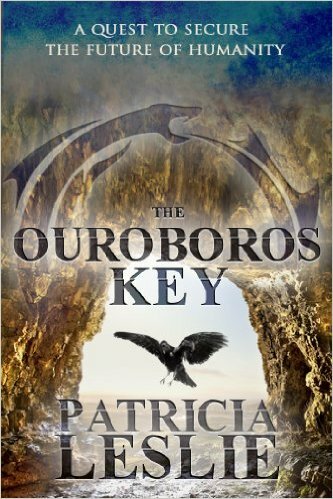 The Ouroboros Key by Patricia Leslie takes you on a journey that will stay with you for years to come. The Ouroboros Key by Patricia Leslie took me by surprise. I was definitely not expecting the strength and adventure that I found within. I was hooked within the first paragraph, finding it a hard book to put down. Patricia Leslie writes with strength. Her ability to play with words, providing clear description that intrigues and invites, is the making of a talented author. Within The Ouroboros Key there is enough action, detail and mythical tale to keep you fully engaged and dancing around the pages. The strength in characters is refreshing. Patricia Leslie has placed all the ingredients of a best seller into a tightly written story. The balance between mystery, thrill and suspense has been achieved to the degree that you are left wanting more. It is always nice to see an Australian writer shine. The Ouroboros Key is the first novel by Patricia Leslie and I am eager to see what she gives us next. The Ouroboros Key comes from Patricia Leslie’s interest in myths from Sumer, Celtic Cultures and early Christianity. As a reader you can see this interest and passion shine through the pages. It is evident that Patricia Leslie has used her knowledge of a topic and her talent as a creative writer to create a story that will captivate many. Her Amazon bio states that Odyssey books is currently preparing her second novel for publication…my level of excitement has risen. I eagerly await. I could tell you what The Ouroboros Key is about but I would not be able to do it justice. For this book I choose to leave the mystery to the reader. What I will tell you is that should you grab a copy you will be in for a fast paced and exciting journey. You will travel with the main character Dan wanting to flick through those pages as fast as you can, eager to find out what happens next. The Ouroboros Key by Patricia Leslie is a magical journey suitable from young adults onwards. Two words come to mind when I think of this book: captivating and suspenseful. Available from Amazon in Kindle and paperback.